"Really enjoyed the training today. The trainer made everyone feel comfortable. Learning structure was good, great idea to bring the team together. The trainer had a good understanding of the materials, it was practical and informative. Personally for me the workshop helped to build confidence. I would definitely recommend the course! The lunch was very tasty!!" Olga Filatova, CSE Practitioner. We are always looking for enthusiastic and reliable volunteers to join our team. 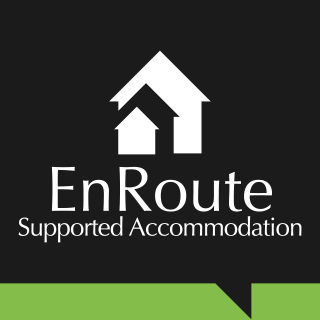 In return for your support we provide our volunteers with a robust induction and ongoing training in all areas. All volunteers will require a Disclosure and Barring Service check (DBS). 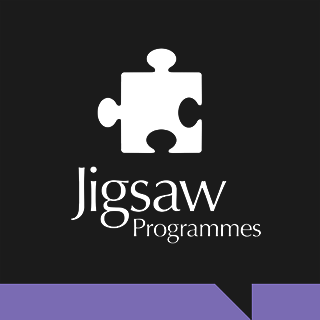 Check out our Get Involved page for more information, & complete our application form. We will be recruiting for new volunteers next month. Thank you. "Thanks ever so much for sending in your final quarterly report. It is amazing as always to read of all the women you have supported, and will continue to support now the grant has ended. 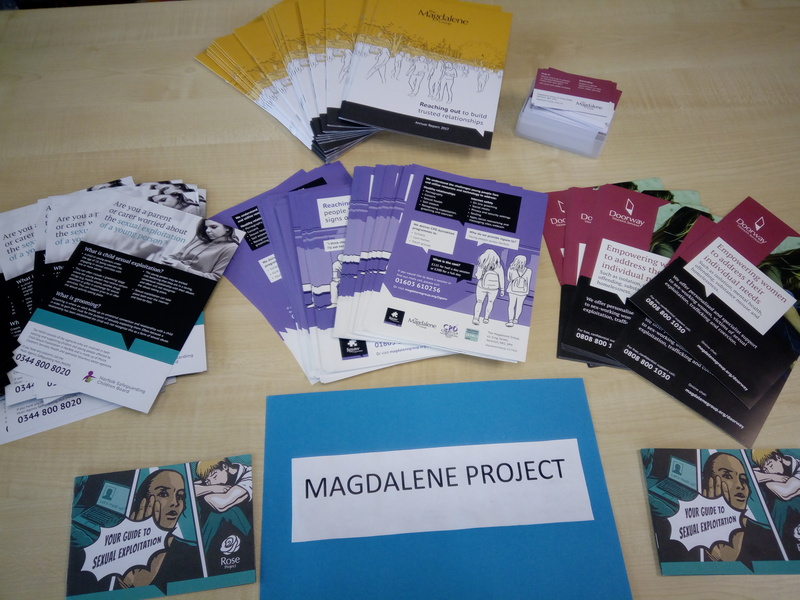 It has been such a pleasure to work with The Magdalene Group and an honour to support the incredible work you do." 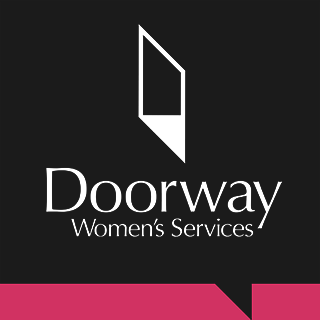 Kind words from the Tampon Tax Fund, whose three-year grant has supported our Doorway Women's Services. 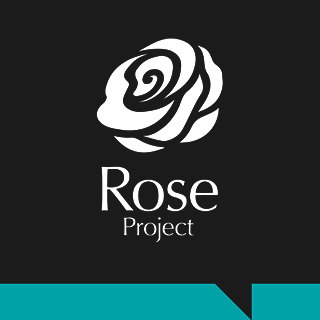 Morwenna Chaffe & Jacqueline Kovacevic from The Magdalene Group’s Rose Partnership are attending The Listening Fund Convening 2019 in London. The day includes various workshops as group forums which address the challenges facing organisations in ensuring we continue to listen and empower young people . Welcome to two new team members who join us today - Olga Filatova & Tabitha Rodwell, CSE Practitioner & Therapeutic Practitioner respectively. We look forward to working with you both! Four team members are currently attending the two-day NWG 6th Annual Conference 2019, taking place this year at East Midlands Conference Centre, Nottingham. 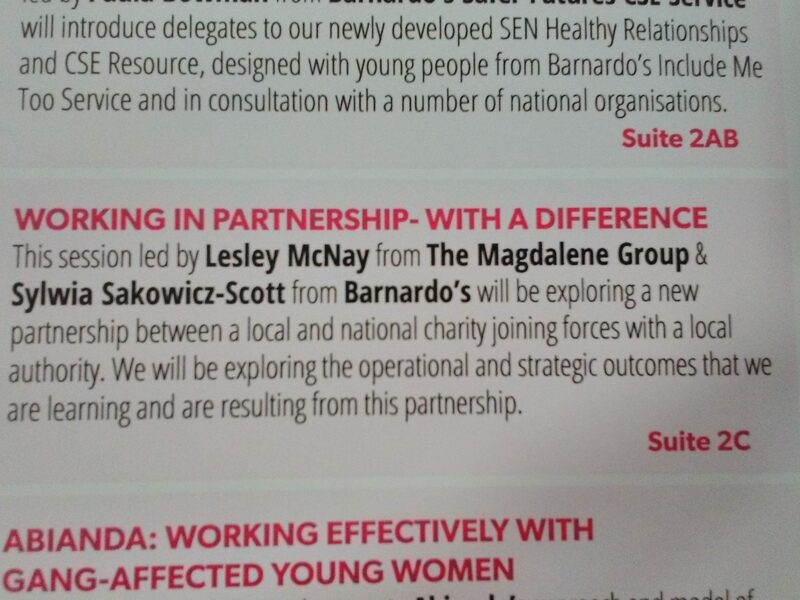 Representing The Magdalene Group & Barnardo's, & presenting "Working in Partnership - with a difference," are Lesley McNay, Sylwia Sakowicz-Scott, Morwenna Chaffe & Jess Rolfe. “Today a couple of our workers from across our projects attended Havenbridge House in Great Yarmouth, where Norfolk County Council had put on an event to show-case services available across Norfolk for children, young people and adults. Great to see so many familiar faces there and to get to speak to so many others about our services & the services they provide. Thanks for having us!” Abbie, Outreach Worker.